Not really for just one, however for everybody Money container is essential, more recently ethical points tend to vanish, just cash is actually occupying within our life, we're not really searching for additional requirements, we want just cash. We are able to purchase any kind of point along with cash, however, all of us can't purchase a few points nowadays, for instance, all of us can't purchase moms adore. It's a fantastic present through the Lord in order to all of us. ( Matter is from www.subhavaastu.com) We must make money for the living, however, we ought to not really reside for the money, in the event that we now have the capacity as well as power, perform effort, after that cash may instantly arrive. Do not proceed as well as look for cash, it will likely be along with you should you choose effort. Right now we're talking about a few factors upon cash issues. Really small factors. (Tijori within Hindi vocabulary -- make sure you assist all of us to create this site prosperously, is actually this particular term "Tijori" is actually proper within Hindi with regard to Moneybox) (Safety Location with regard to maintaining Jewelry or even Valuable Decorations ) (some says it as "Deed Box"). 1. If you are facing problems with debts, then do one thing, dig one sump at Northeast corner at your compound. 2. Heighten/elevate the South side and possible construct pail or dais at South direction and Southwest direction sides. 3. North side lower (depression) can multiple double the income. Extra income or easy money flows well with North depression. 4. Northeast-north (North Eshan) corner street focus tend you plenty of money. Try for this street focus road properties. 5. Currency chest may be placed towards Southwest part at your house or else you may look for an expert suggestion. For more information visit the house link at home page top right side. There select the appropriate link for your requirement. 6. Jewelry or Gold Ornaments are best to keep at Southwest portion of the house, in India, we can save them in bank lockers, but in foreign All Country Flags NRI's are keeping ornaments in houses only, don't keep ornaments at Northwest or Southeast particularly don't keep at Northeast corners. The best suitable direction is Southwest corner, if not available to keep at this direction, the second best option is South or West directions. We have some instances in other lands with regard to this Jewelry security, some residents placed the Jewelry at Shoebox, yes it's true. It happened only because of thieves may not expect that the residents may keep at these locations like the ornaments at Shoe Box. Is it right, some residents are keeping ornaments in air-coolers, some residents keeping very immediately of the entrance which nobody thought of such locations. 7. The currency chest always placed at the Southwest corner of the Southwest room in a house. So that it gains enormous Northeast (Eshan) corner focus, and money never go out easily. For your understanding here is a picture, please observe the focus of Northeast (Eshan) corner to currency chest. Where should we keep Tijori in our house/Shop | in which direction Tijori must be kept in shop : The chest box should be kept at Southwest and it should be facing towards North, this is perfect system, if its not possible to keep towards North facing then next best position is East facing direction which is kept at Southwest. These above two directions are 100% correct. In shops like East facing shop or North facing shop, sometimes it may not be possible to keep the Safe box towards Southwest facing either North or East directions. But its possible for South facing shops and West Facing Shops. If your shop is towards North facing then you may check this North Facing Shops link for more info where you have to sit and where you have to keep Tijori etc. If you have selected the Northwest direction for sitting then you may keep the Cashbox towards Southwest of your sitting place, that means Chest box came only towards entire Northwest in the shop, generally speaking, Northwest chest box is not good, this rule is not applicable for North Facing Shops because generally where owner sits there he has to keep the cash box with him, for North facing shops for easy accessibility many shop owners are sitting towards Northwest. In a Factory or Industry, you may keep cash box towards Southwest or West or South directions. In the above Picture, it was clearly observed the main technique in flowing cash into the cash box, in this way you can do practicals. The Vastu Expert suggestions will always bring cheers in life. If cash box is having a clear way from Northeast (Eshan) corner, then one may enjoy the currency full in your cash box and bank balances. Somebody raising doubts that which is the best direction regarding cash box hanging to Southwest wall or placing the cash box at Southwest floor?. Simple first check the cash box height and weight, if it is above normal, then place it at Southwest floor, if it is not too weight or height then you may hang to the wall. Remember weights placing at floor level at the Southwest part is always good. Hanging is not advisable. In this image, the Almirah's (Money Box, Iron Safe) placed towards Southwest corner, this resident bought two Almirah and kept them at Southwest corner. Good. Both are placed on floor only. Here now we are discussing some important logic. The two Almira are in good position. For your understanding purpose, one Almira is marked with a white patch. This white patch Almira is North Almira and the other one is South Almirah. If the surroundings Vastu is not good towards South direction, then place your money (Cash, Rupees, Dollars) at North Almirah, if South is good as per Vaastu shastra then place your money in South Almirah. South means, the south direction after your house, if there is any Apartment at South direction, then keep money in South Almira. There are lots of tips and techniques in Vastu Shastra, we have to find it and logical think requires to get the right key. Here one resident placed the Almirah towards Southwest direction in his house, don't keep your eyes on the back side, that is a small Windows behind the iron safe almirah, this window is said to be wrong but from outside it was totally closed with a strong structure. This iron almirah is faced towards East direction. This placement is also good. Now we are discussing some other methods, nowadays the rooms are very small in size and we have to adjust everything in all ways. If there may not be any space towards the southwest part, particularly at the floor, then we have to hang the Almirah at Southwest corner wall. Observe this image. This is also one steel Almirah, one resident placed this Almirah towards Southwest corner, it does not stand on the floor, only hanged to the wall. Is there any wrong in this system. No, but it is better to place the Almira on the floor is good. Sometimes it's not possible to keep on the Floor, then this method is safe. Very rarely residents are selling their Almira, first observe on what cause and reason they are selling that almirah. Some got huge losses and selling many items, in such case, it't better not to buy. Somebody selling only because of they need to choose bank locker as the safe. In such fact, its OK to buy. Hi can I dig 2 feet in the floor and keep my ornaments and money in south west room and close it with iron chamber and take whenever needed - Vijay - Hyderabad. Digging two feet at Southwest is not at all good as per vastu. Instead of this arrangement, better to search for other places to safe your ornaments. These below links helps you more info on how to get fancy amounts with vastu principles. 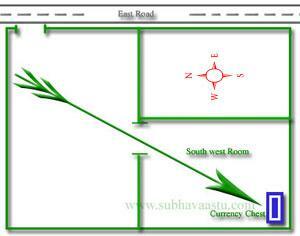 Vastu for Money link expresses some more information on money. Keeping Gruhalakshmi Photo is auspicious in the homes or commercial places. Would like to know some ideas or tips for children rooms? What is the best location for placing guest room in my home? Why some say to buy only East facing homes, what is the motive? Is South part is good to start constructing the Water storage sump? How can understand actual Southwest house, exactly how to find it out? Is South Facing houses are not worth to buy, what is the reason behind it? Where to keep the Sink and gas stove, is three burners are bad in kitchen? What is street hitting, what effects it goes on human beings and properties? Which is best and suitable place for the Septic tank in our house, need to know? Hello Sir, Greetings of the day. In my bedroom I have 2 almarah. And one is in southwest and other is in south east. As I my room is very small. I want to place few stuff above my both almarah's. Can is it a favourable if I leave it above almarah. Please suggest me the way. Thank you. Awaiting for your kind reply. We have got a very old iron trunk which is black in colour, and kept in the centre of our house. is this bad? should we keep it but change the colour? suggest! 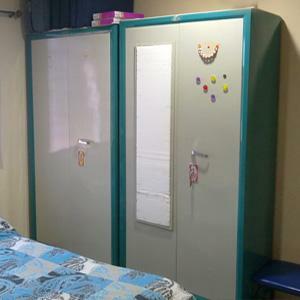 i have kept the locker in south corner in the south-west room of my house.the locker is kept next to my bed and in front of it is the door of the room and in front of the door is a bathroom.is it wrong? should i place my locker on the other side of the room do that its south-west corner and it faces a plain wall? 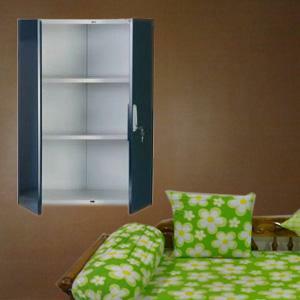 we keep our cupboard, inbuilt a TOJORI, facing north East direction. Is it ok ? the back side of the cupboard is South west. 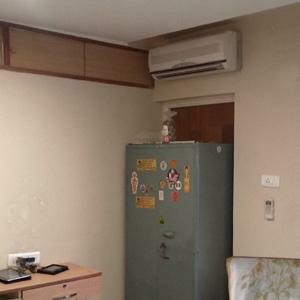 i have hang my locker on a wall which is facing west & common to my neighbour , back of this wall there is toilet & this is touching to roof , please suggest me right direction. Sir, I have a small bedroom there is no much place to keep all stuffs according to vastu. But mostly I worried about my safe.I keep my safe at east face toward west.is it right for good wealth ? Sir, I have a small bedroom there is no much place to keep all stuffs according to vastu. But mostly I worried about my safe.I keep my safe at east face toward west.is it right for good wealth ? Plz suggest me what should I do. sir, we have placed the cash cupboard in the south west direction facing in the north. but on the top, south side there is a loft.is it affect our financial flow. please give you suggestions. Sir please tell me how to solve my financial problems, i had given money for somebody, now they did not give how to take back from them please advice me. Dear sir, we are having two beeruvas in my home recently we purchased another. Shall we keep all the three beeruvas in a single room. My house faces towards west and the room where I 've to keep all the beruvas is northwest corner room. Two beeruvas are facing towards south and the third one is facing towards east. Third one is only for keeping daily usage clothes. So please suggest me shall I keep all the three beeruvas in a single room.